Depending on how many fish you want, the size of the tank is to be deterred accordingly. Three sizes are most common for a nano reef – 14, 29 and 40 gallon fish tanks. You can also read our guide on choosing the correct tank size. Most common are Power Compacts, Fluorescent light tubes and Metal Halides which is superior than the other types of lighting systems due to the shimmering-like effect it creates in the water. Keep in mind that all of the light bulbs have separate Kelvins (measurement for the temperature of the color). You can use all of them for your nano reef, but 10 (actinic), 12 (actinic) and 20ks (actinic) are the most commonly used. It all depends on what coloration you want to choose for your nano reef. 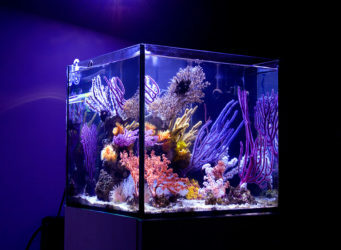 Actinic lighting gives a strong and dark purple coloration that causes the corals and some fish to appear fluorescent. 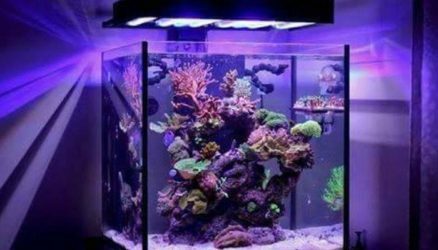 Depending on what type of nano reef you will create, you have to calculate how many watts per gallon you will need for the fish tank you are using-environment wise. For a soft coral nano reef you will need 4 watts per gallon. If you use stones and rocks for the coral nano reef, you’ll want to use 8+ watts per gallon. 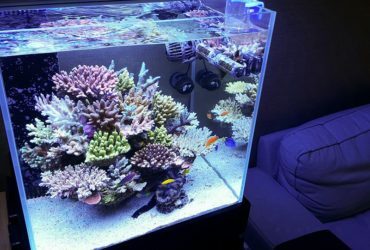 Heating for the nano reef is not a big issue, unless your home is really cold. Sunlight and home heating helps with most of the temperature build up and balancing the same, so you will need a small heater with 50w power or maybe even a 75w. Most people prefer the Ebo Jager heaters, as they have successfully used them for their nano reefs. For circulation of the water, you’ll need a Powerhead that has a turnover rate of 20x gallons of the tank. Example: for a 40 gallon tank you will need a 800gph Powerhead. You can use most filters for the nano reef, but it is recommended to use a submerged filter system that has a protein skimmer so it can remove dissolving organic matter (food and waste) from the water, a mechanical and chemical filter, and if you are creating a stony reef you’ll need a calcium reactor because of the freshwater clamming, therefore the need for a constant calcium supply. Remember to plug all equipment into a ground fault before plugging it to an outlet. Also use a grounding rod on the inside of the fish tank as well. 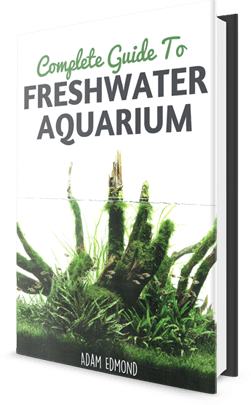 All you need is a surface that is sturdy and well leveled and can withstand the full weight of the fish tank, which would be approximately 200+ pounds, depending on what type of fish tank you are using. Calculate carefully before placing. Also it is best to pick a spot for the tank where people movement will be frequent and easy to reach, because in the first few weeks the aquarium is stabilizing and needs supervision at all times. You’ll need water with non-chloral water to fill you nano reef fish tank, it is best to get R.O. (reverse osmosis) water, which you can find in most pet shops in your area. High quality synthetic salt for reefs is a must, accompanied with a hydrometer that can read the salt concentration in the water. You are now ready to start with filling the aquarium with water and when adding the salt, don’t forget the read the instructions on the salts manufacturer. While adding salt, measure the gravity with your hydrometer. When it hits 1.023, place your Powerhead in the tank. It helps mixing the salt. Place the heater in and stabilize the water on 78 degrees. When the gravity is in balance with the water temperature, you can place the sand and rocks into the tank. Remember to first place the rocks, as widely as you can so that the fish can swim freely and also hide in them. Try not to worry about patterns, you can rearrange the rocks anytime you like. After the rock, pour the sand in around them and keep in mind that you must even-out the thickness all around the aquarium. Wait for the sand to settle in the water. Before moving your fish to their new home, you must prepare their habitat so they can acclimate straight away. When you add your source of ammonia, don’t forget to check its level every 2 days until it is down to 0. Repeat this process with the nitrites and nitrates. The nitrates are harmless if they are even up to 20 ppms. It’s safe for the fish only when all levels are down to 0 (except for the nitrates). When the cycling process is complete, you are ready to start adding to the nano reef the fish and coral that you want to keep. Do your research on what types of fish are compatible between them, what food do they eat, what environment is best suited for them, what spices of fish are most comfortable with the lighting you have and etc. Being informed on what you will keep will help you with taking care of your own sea world in the nano reef you have made by yourself.